0-100 km/h in 3.4 seconds, top speed of 320 km/h, rear-wheel drive - sounds like much fun? 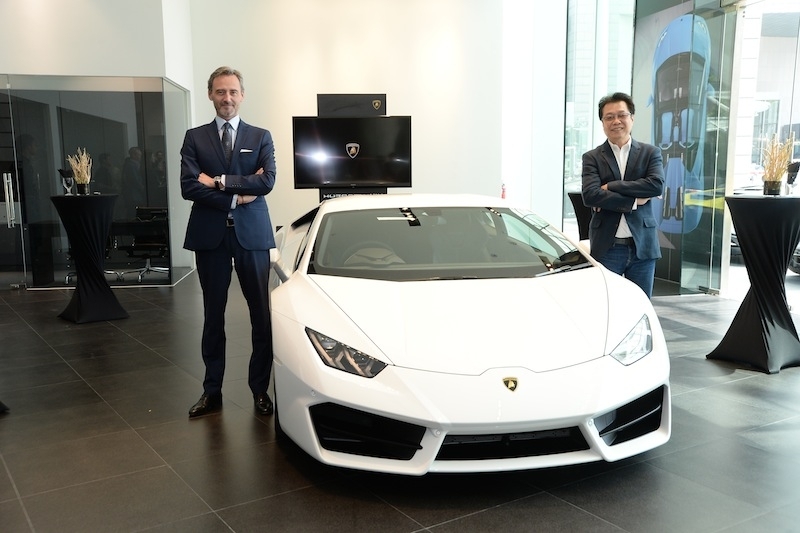 Lamborghini Singapore presents the Lamborghini Huracán LP 580-2, a two-wheel drive version of the Huracán coupe, at its new Satellite Showoom in Suntec City recently. Specifically designed and engineered for a rear-wheel drive set-up, the Huracán LP 580-2’s combines dynamic new looks and sporty fun. The Huracán LP 580-2 has been engineered and tuned for an essential driving experience. With its naturally aspirated V10 5.2-litre engine sending 580 hp to the rear axle, the Huracán LP 580-2’s dry weight is just 1,389 kg; this is 33 kg lighter than the four-wheel-drive version. Weight distribution is biased 40% at the front and 60% at the rear, reducing inertia on the front axle. An entirely new power management set-up, encompassing modified suspension, new steering set-up and recalibrated stability and traction controls connects the driver as directly as possible with the road. The selectable Lamborghini driving modes 'Strada', 'Sport' and 'Corsa' are tuned to provide oversteering characteristics, emphasizing authentic rear-wheel drive behavior. 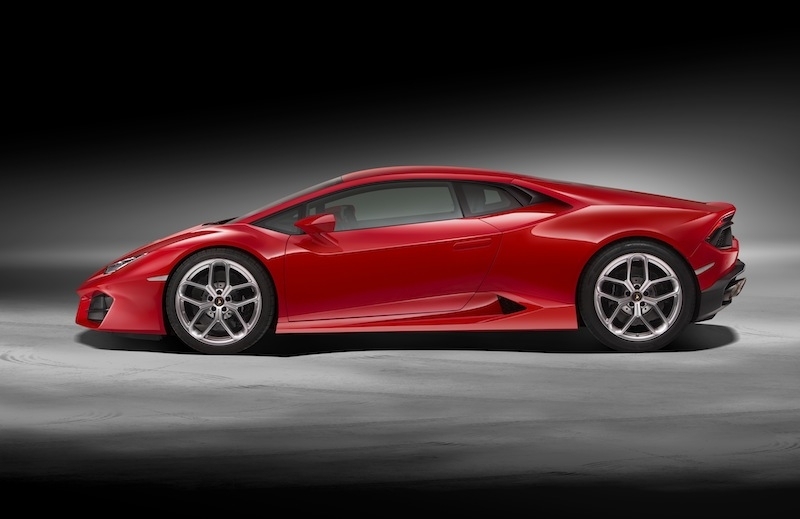 As in the other Huracán models, the LP 580-2 features cylinder deactivation to improve engine efficiency. When full engine capacity is not required, five of the ten cylinders are temporarily deactivated by switching off one cylinder bank. When the driver accelerates, the system switches back instantaneously to ten cylinder mode, while being virtually impossible to detect by the driver. 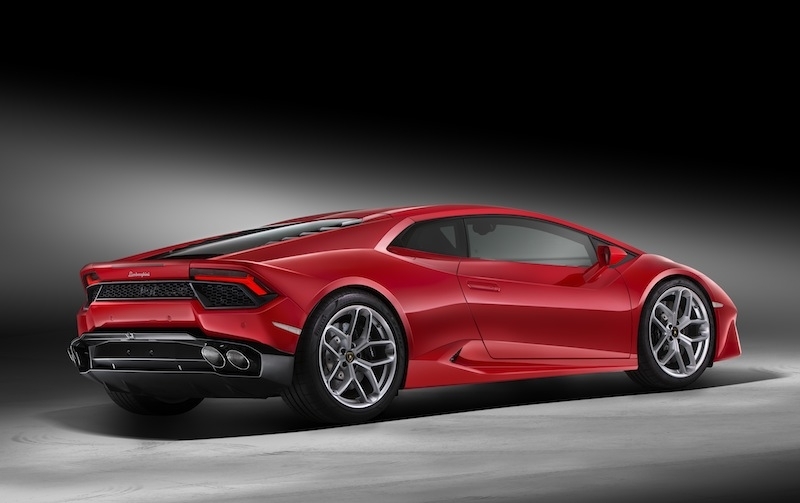 Lamborghini Piattaforma Inerziale (LPI) – the Huracán’s sensor system placed in the center of gravity of the car, tracing all 3D movements – has also been implemented here. It provides real time information to the optional Magneto Rheological Suspension (MRS), steering and stability control systems: the ESC has been regulated to adapt to all adherence conditions yet emphasize the rear-wheel drive behavior in each driving mode.